Following up on the band’s first single, Los Angeles doom/industrial act Fact Pattern unveils the music video for “A Form to Be.” Stated by the trio to be “a dreamlike statement of intent and represents an expansion of our presence as audio/visual artists,” the song is the second single from the band’s upcoming full-length debut, with the video shot once again by frequent Fact Pattern collaborator Alex Schultz. The previous single, “My Guard Down” was released in late September, while the introductory Structures EP was released in April of 2017. 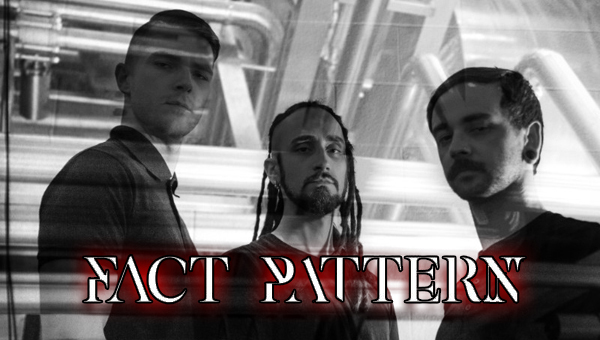 Since the band’s formation in 2012, Fact Pattern has gone on to perform as live support for the likes of Old Iron and Author & Punisher; the full-length debut album is slated for release in January of 2019. “A Form to Be” is available to purchase now via Bandcamp.